She is the author of the nationally best-selling book, Unplanned, which chronicles both her experiences within Planned Parenthood and her dramatic exit. The pro-life movement is featuring a new awakening as we are noticing the true impact of the pro-abortion movement. Radical abortion laws are being passed around the country and now, more than ever, is the time to fight back. We can no longer be the silent majority. The lives of the next generation matter too much. 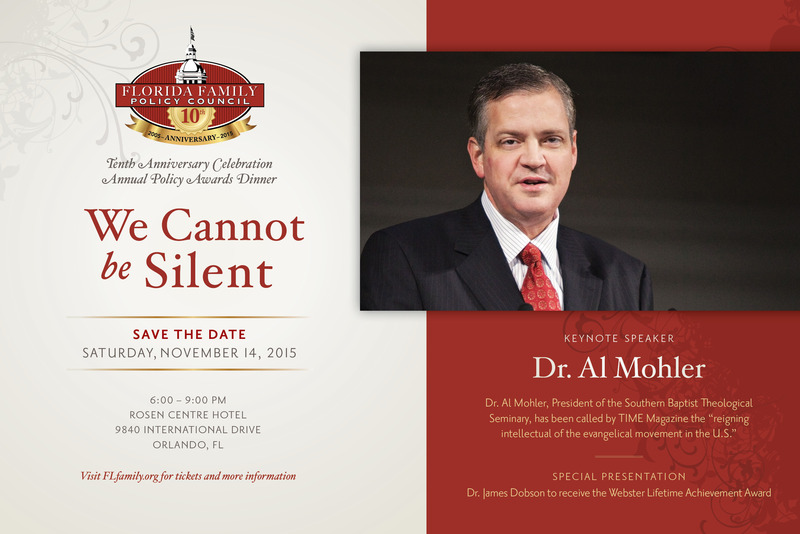 Our 2018 Annual Policy Dinner was combined with our GOP Gubernatorial Candidate Forum themed “Together for Florida” in Orlando. The dynamic exchange between Fox News pollster Frank Luntz and the leading Republican candidates, Congressman Ron DeSantis and Commissioner Adam Putnam, focused on many important issues facing Florida’s families and our state. 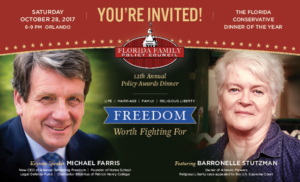 Our 2017 Annual Policy Awards dinner theme was “Freedom Worth Fighting For…” featuring keynote speakers Michael Farris, CEO, President, and General Counsel of Alliance Defending Freedom; and Barronelle Stuzman, the owner of Arlene’s Flowers in Washington whose religious liberty case has been appealed to the US Supreme Court. 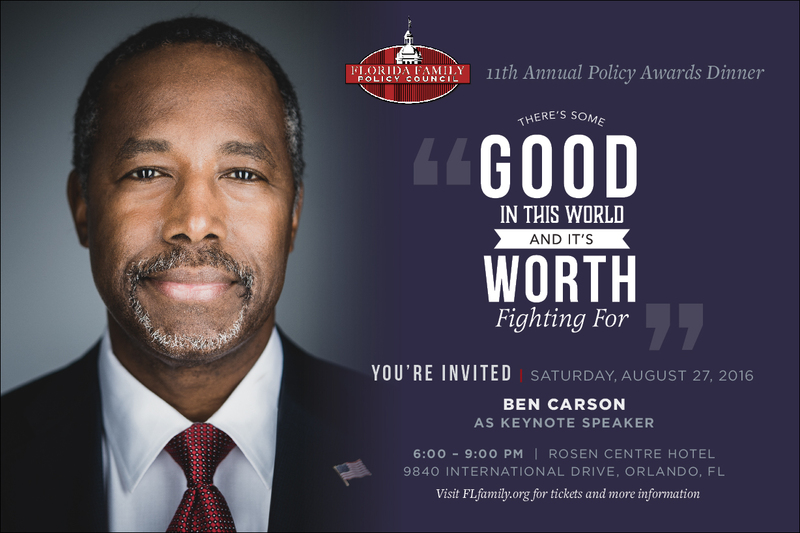 Our 2016 Annual Policy Awards dinner theme was “Some Good Worth Fighting For…” featuring keynote speaker Dr. Ben Carson, a world-renowned surgeon and 2016 presidential candidate.